This is where I lived in Brooklyn in 1987. I took the photo from the roof of 338 9th Street, looking downhill toward 5th Avenue. I used to lie on the roof of 338 on an old, flowered bedspread and stare up at the pink Brooklyn night sky. Sometimes I lay listening to the sound of the city, but other times I played a cassette on my Walkman, over and over, as loud as I could stand: Kiri Te Kanawa singing Verdi and Puccini arias. I played the tape loud so I could surround myself with her voice, so I could lie inside the sound with all of Brooklyn beneath me. Listening to that tape was a kind of excruciating joy. I loved Kiri Te Kanawa’s voice as soon as I heard it, so that was the joy, But I also could not believe I had lived so long without knowing anything about that kind of music. That was the excruciating. If you’re a working class girl from a small Pennsylvania town, you don’t grow up hearing opera. Yet even after I moved to New York City to go to college, I still missed out. I thought opera wasn’t for people like me, and I thought it wouldn’t interest me. I went on thinking those things until I was 24 and heard the world crack open on a roof in Brooklyn. This all still matters now. I’m working on a short video trailer for Paris Red, and I have to choose music for it. I tried different options, but then I realized I wanted music that makes me feel the way Kiri Te Kanawa’s voice made me feel on that Brooklyn roof. And I think I found it in an aria from Bizet. As soon as I finish the video, I’ll let you know. Love the way you’ve coloured the photo. I grew up w/class too without opera etc. Ballet and modern dance have been a revelation! Love to hear more of Brooklyn – I have no idea of the ambience of the place here in UK. 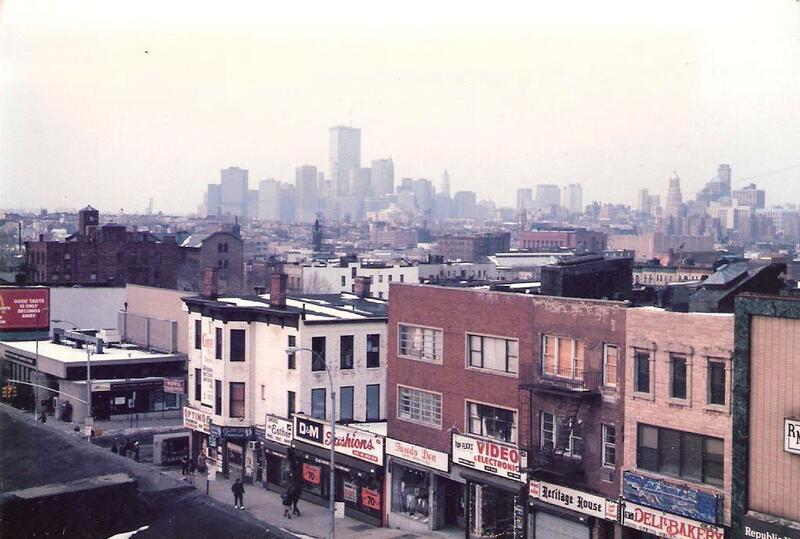 I haven’t lived in Brooklyn since 1987 — my old housemate tells me it has changed. I loved it gritty. The New York City I knew is in the photos of Jamel Shabazz’s BACK IN THE DAY and Bruce Davidson’s SUBWAY. I still have subway dreams! And thank you for saying what you did about growing up without ballet and modern dance. Means a lot to me!